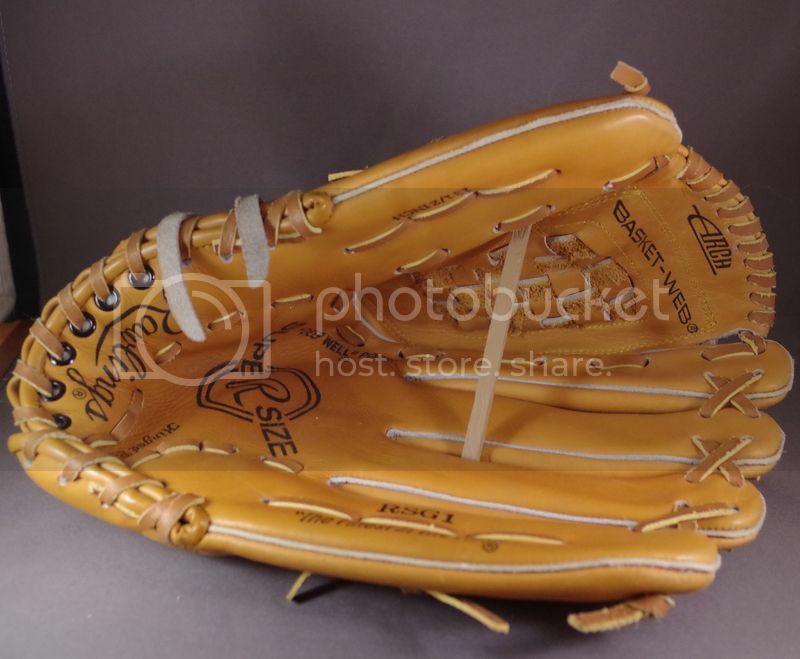 This question is about the condition of the lining of a Rawlings RSG1 that I recently picked up. I know it is not a vintage glove, but I'm trying to determine why the lining looks so worn, yet the glove appears to be unused. 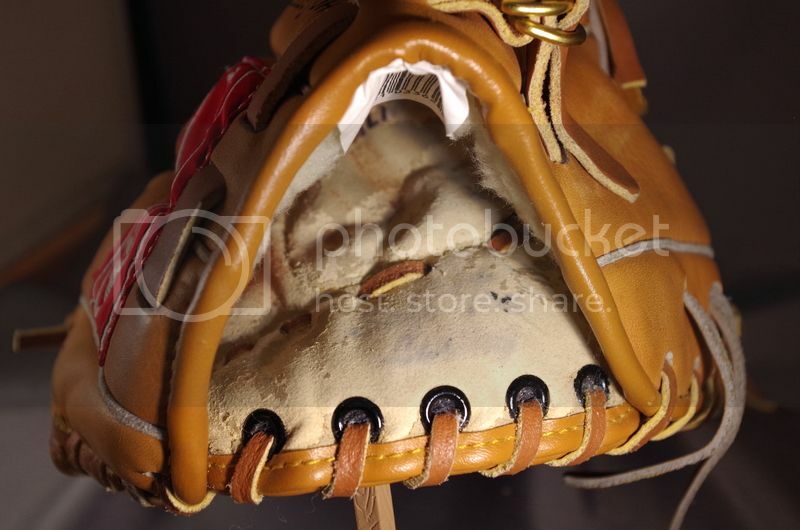 There is still remnants of factory writing inside the glove, but it is flaking off. I was thinking that it was caused by sweat, but it doesn't look like the glove was ever played with. I want to list on eBay as mint, but how do I describe the interior? Any thoughts would be appreciated. Thank you. Cheap material for palm area. This is a low end glove that I cam but at a flea market for $10 or less. Good luck on ebay but the glove is not mint.